Marie Ann Brady passed away on January 19, 2017 after a one year battle with cancer. She was born at home to Albert and Gertrude Escher Bruha on a bitter cold day on February 11, 1936, in the little hamlet of Germantown, a mile west of the village of Cazenovia, WI. She attended St. Anthony’s Catholic School and Cazenovia High School. She also attended Sauk County Teachers College. On October 25, 1958, she was married to James V. Brady at St. Anthony’s Catholic Church in Germantown. She was a member of St. Peter of Alcantara Parish, Port Washington since 1968, was president of the Women’s Guild and was very active in St. Peter’s School, having served on the School Board and was a CCD teacher. She was a Girl Scout leader and Day Camp Counselor and was a Den Mother for St. Peter’s Boy Scout Troop. 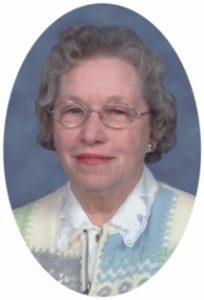 She was a mentor/teacher with her special friend, Lynne, for over 25 years with the Friendship Club. Marie’s life was being a wife, mother and grandmother. She held secretarial jobs and was an Avon Rep when her children were in school. She later became employed with the Port Washington-Saukville School District, having worked at Port Washington High School and Saukville Elementary Schools for over 20 years, retiring in 1999. She loved gardening, crafts, a lot of “from scratch” baking and cooking. She was a friend to all, but most of all she wanted to be active in her family’s life. She is survived by her husband, James; children Pamela (Ronald) Hineman of New Berlin WI, Kimberly (Darrel) Zaleski of Eleva WI, and Jeffrey (Lisa) Brady of Warren NJ. She is also survived by her grandchildren, Ross Hineman of Madison, WI and Camille, Nolan and Juliette Brady of Warren, NJ. Marie is further survived by brothers, Raymond (the late Helen) Bruha of Nashville TN; Clarence (Patti) Bruha of Cazenovia WI; sisters Louise (the late Raymond) Fronk of Reedsburg WI and Irene (Patrick) Walsh of Plain, WI; sister-in-law Patricia (the late Donald) Ryczek of Cedar Rapids IA; brothers-in-law Richard Brady and Ralph Brady both of Reedsburg WI; also many nieces, nephews and friends. She was preceded in death by her parents, Albert and Gertrude Bruha, in-laws John and Margaret Brady, sister Evelyn (the late Fritz) Kuehni of Boyd WI, and an infant son, Mark. The Rev. Patrick Wendt will celebrate a Mass of Christian Burial 1 pm Fri., Jan. 27, 2017 at St. John XXIII Catholic Parish, St. Peter of Alcantara Catholic Church, 1800 N Wisconsin Street, Port Washington. Visitation from 10:30 am to 1pm Fri. AT CHURCH prior to Mass. Entombment St. Mary’s Cemetery, Port Washington. The family wishes to thank the Aurora Grafton Cancer Care Clinic, Dr. Thomas Zukowski and his nursing staff, the Aurora Grafton Health Center and the Lawlis Family Hospice for the excellent and compassionate care they provided. In lieu of flowers, donations may be made to The American Cancer Society, any veteran’s association, St. John XXIII Catholic Parish or the Friendship Club. I am so sorry to hear about Marie’s battle with cancer and loss of life. I worked with her at Saukville Elementary School, where her spirit and love was so greatly felt. My children and I always valued her caring and fun-loving personality. Deepest condolences to the family. May the love of family and friends carry you through your grief as “the hearer of prayer” embraces your hearts. Lean on those close to you for strength and encouragement to stay strong. Share your memories,they are a source of joy that will give your family comfort. We hope that the many cards,hugs,kind words, and loving prayers sustains your family during this most difficult time. Prayers for the entire family. I will miss seeing her in church. She was a friend to our family, great Mom to my friend Pam who welcomed me every day in grade school as we trekked to St. Peter’s. We had contact with her as our girl scout leader, high school office worker and Avon Lady. She will be missed! So sorry for Jim and family. She was a wonderful lady. Kind, generous, always willing to help or be of service. A loving friend, a fighter to the end. God and His Mother will gladly gather her in. So sorry for your loss. She was an amazing woman with a beautiful spirit. So sorry to hear of the loss of Ms. Brady. She knew all the answers back at school. Prayers to all her friends and family. Sending thoughts and prayers to Kim and the family. So sorry for your loss. I remember how much your mom gave of her time to the girl scouts. I learned so much. She was a very kind person.